So you have read my DIY linear powered USB build and it looks a little too difficult....?! 2nd. Being careful to keep the cables shield integrity, cut the red cable "+5vdc feed" to the type B end. Leave enough length for connecting your linear power +5vdc feed. 4th. Then splice the linear power ground feed onto the USB cables black ground wire. If done correctly you will end up with a cable which offers a similar sonic result to the complete DIY build, but without having to start from scratch or purchase/terminate USB connectors. 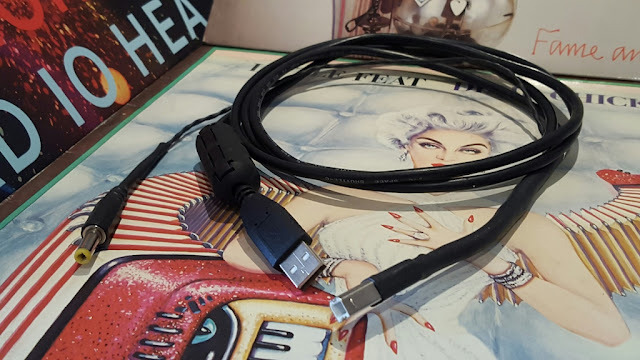 An added benefit is the "simplified" cable should also work without any need for resistors or LED's to provide a trick load, as ground+shielding is maintained between USB type A > B connectors. Please note, this is an information thread only. I take accept no liability for damage caused due to the implementation of this cable design, incorrect termination and/or use of this cable design. It works for me and my HiFi friends and has done so for many years. If you are going to copy this design, you do so at your own risk. I can only suggest be careful with your terminations and double / triple check continuity to ensure you don't damage your HiFi computer equipment.